IASO | Do you want your business to attract the attention...? Home / News / Do you want your business to attract the attention of your customers? Do you want your business to attract the attention of your customers? At IASO we can provide greater visibility for your business. Using our products we can make it the most distinguished of its surroundings. We offer a wide variety of advertising elements with which to highlight each business: parasols, awnings, furniture, pergolas and structures. Now skirts no longer go unnoticed. 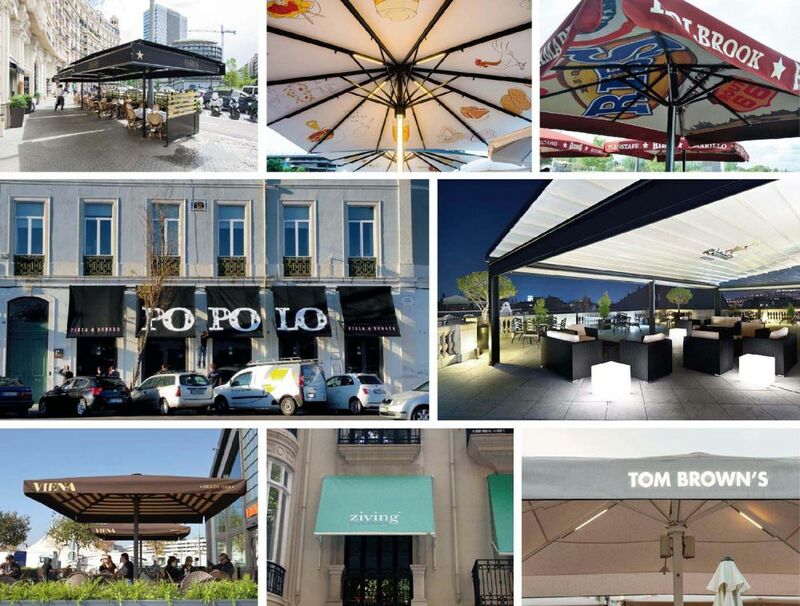 If you want greater recognition and visibility for your terrace or outdoor space, skirts and/or back lighting give products such as awnings, parasols or pergolas, two functions: protection from sun and rain, and lighting. Save on adding alternative light sources thanks to the luminosity of these products. The luminated skirt consists of a plate of very thin, lightweight LED technology inserted within the skirt. Its 24 volt transformer allows a good light flow so that its design is visible from short or long distances. On the other hand, the luminous panel consists of two types of LED lighting as well as adjustable intensity. You can illuminate the panel from outside or from the interior of printed canvas. It can be fixed to any type of fixed or retractable covers and also to the wall. In addition to these products there are also other ways we can make your business stand out; from the screen printed logo or name of your store or brand. The more personalized the various elements of your shop are, the easier it will be for customers to identify you. Subliminal advertising is ideal for premises if you want to draw the attention of the client without them realising and therefore avoiding invasive messages. Its subtlety somehow sticks in the minds of passers-by leaving them with a favourable memory of your business. In IASO we look for the perfect solution so that your business does not go unnoticed and can satisfy your needs and those of your clients.